It's well seasoned. 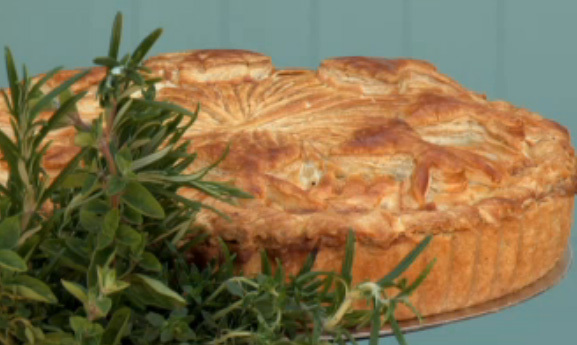 The sage comes through and it's got a wonderful savoury flavour to it. It's just a really very, very good pie! The flavours are very well rounded. We offer a wide range of products for a small bakery but there will always be some outstanding specialities for which we will be renowned. 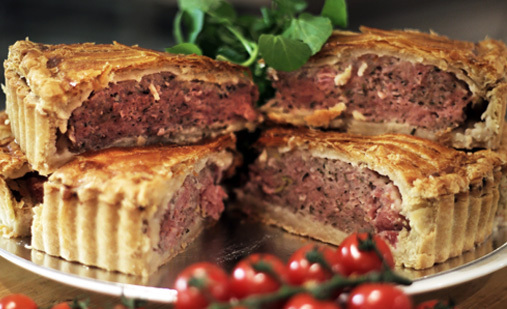 As our style is more rustic and our taste mixes the continental with classic Yorkshire specialities, we hope there is something for everyone. For Yorkshire purists we have our Yorkshire Curd tarts. 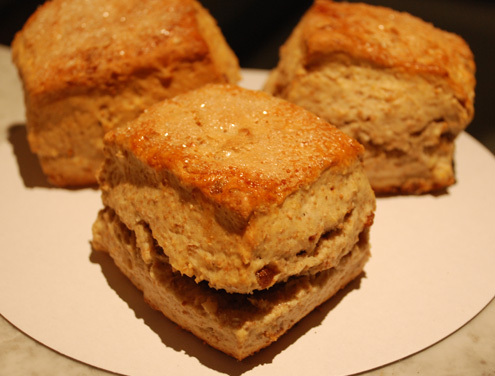 Made to Grandma Ives’ original recipe with local curds, butter, currants, eggs, cream, sugar and freshly ground nutmeg. Simply delicious served with creme fraiche. Our Yorkshire Rascals with their cheeky faces are made with the finest vine fruits and are wonderful with a knob of butter and a cup of Yorkshire tea. 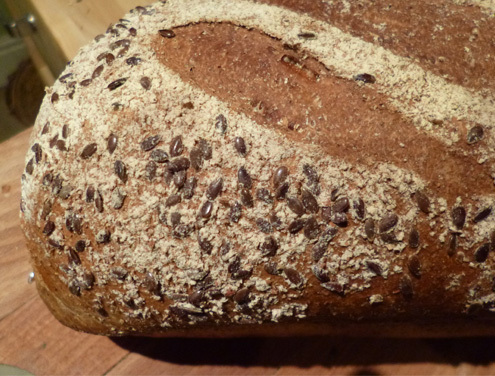 Our breads are often named after nearby villages like our Brompton, Crakehall and Richmondshire Loaves , not forgetting our bestseller the Lancer loaf. Made with wholemeal and rye flour and with a linseed crust, this is named after one of our local regiments based at Catterick. If its a sweet tooth you have, you will not be disappointed either. 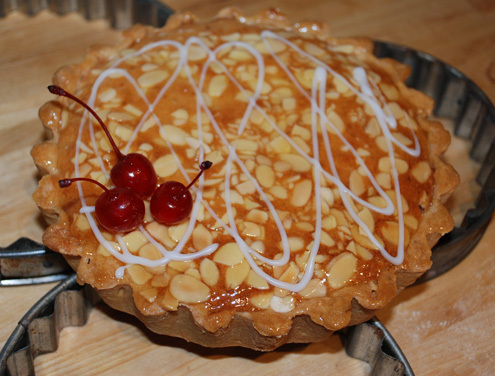 Our runaway bestseller is our Almond Frangipane. 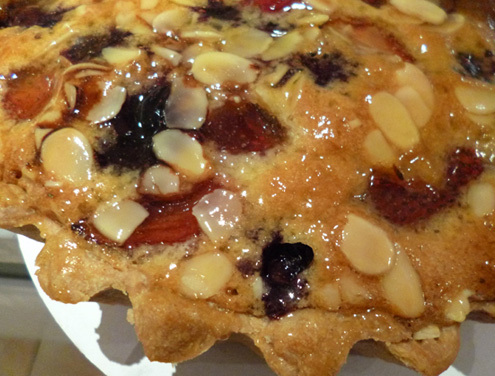 A hand rolled all butter pastry base filled with a layer of fresh fruit, a layer of ground almond frangipane and then finished with more fruits and flaked almonds. 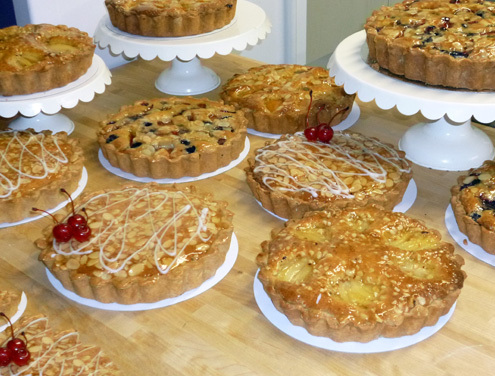 We make these to all sizes from individual tarts to those serving 14 portions, and all manner of flavours, from mixed red summer fruits, gooseberry, apple, apricot, black cherry or pear and chocolate. Our Chocolate Brownies are legendary. Made with butter and Belgian chocolate ours are silky smooth and available singly or as a ‘Brownie cake’, enough for 6 servings, swirled with white chocolate and wrapped with a bow, the perfect present for a chocolate lover. Not forgetting our Italian inspired soft Amaretti. Made with egg whites, ground almonds and icing sugar these are constantly changing flavour according to the season, from orange and lemon, to maple and pecan or cranberry and orange and more besides….